Rali Mampeule is considered one of South Africa’s top black Real Estate Entrepreneurs. His success in real estate investing and in the generation of passive income has resulted in him being a coveted speaker at property conferences around South Africa. He is regularly featured in the media where he champions the cause of black business ownership and property investment. Rali Mampeule started his career in 2000 as a self employed roadside hawker selling boerewors rolls, while studying through Unisa. It was there that he caught the attention of property mogul Charles Everitt who offered him a position as an assistant Real Estate agent at Chas Everitt International Property Group in Brynston, Johannesburg. In 2004 he took the pioneer route and acquired a Chas Everitt international franchise in Midrand, Johannesburg. Hungry for change in the South African real estate landscape, he participated with the South African Property Transformation Charter contributing ideas, information and lobbying of industry leaders to support the charter. In 2005 he was also awarded the “Nedbank Young Lion Award”. In 2006 / 2007 he won the South African “Nedbank Property Professional of the year award” and the following year the African Heritage Society (AHS)”Emerging Entrepreneur of the Year”. In addition to his Bachelor of Commerce (B.Com) studies from the University of South Africa (Unisa) Rali has served professionally on the disciplinary committee of the Real Estate Industry Regulator the Estate Agents Affairs Board (EAAB). In 2005, Rali created the Rali Mampeule Learnership Programme (RML). His purpose was to fast track the entry of blacks into the real estate industry “bringing new blood into the old vein”. In 2008 Rali set up a new residential black owned national franchise group Rali Properties (PTY) Ltd.
From 2009 Rali diversified into an integrated real estate services, ranging from property development and leasing to facilities management with a bouquet of commercial, retail and residential properties. Rali has concentrated on building his balance sheet over the last 5 years. 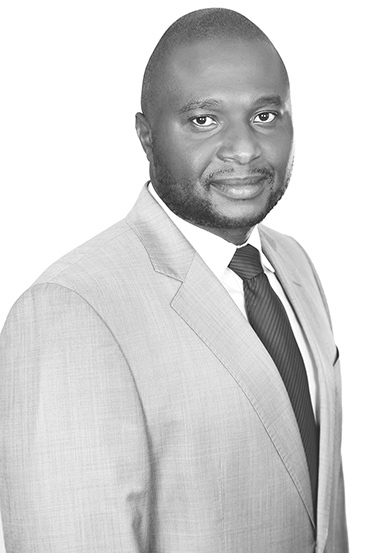 Currently Rali Mampeule is the CEO of Phadima Group Holdings.